We all have the best of intentions for our students. We want them to grow into thoughtful, independent, kind, empathic, self-motivated people. And yet, our daily language habits and patterns may unintentionally undermine these good goals. For example, when we say, “I like the way you’re walking so quietly in the hall!” we may be training kids to be compliant teacher-pleasers instead of independent and ethical thinkers. Written with empathy and understanding, this book is a supportive guide for anyone who wants to make sure their language habits match their best intentions for children. Upon its release, this book was chosen as an ASCD member book! Want your students to learn more and be more motivated about their learning? Wouldn’t it be nice if there were fewer disruptions in your classroom? What if one strategy (when used well!) could help? In this book, you will learn a simple yet powerful process for implementing choice well. You’ll also explore important conditions to create so that your students will choose well–based on what they need as learned instead of what seems easiest or what their peers are choosing. 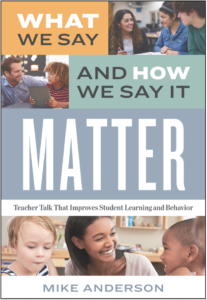 Written in a conversational style for K-12 educators, you’ll find this book to be an easy to read and practical guide for implementing choice well in the classroom. We all know the importance of building positive learning communities and establishing routines. But how do you do that well in today’s fast-paced education climate where academics need to start on day one? 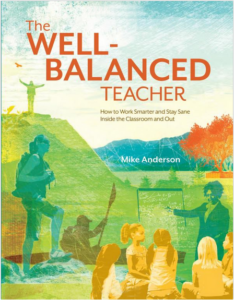 In this second edition of a much-loved classic, Mike Anderson leads you through the first six weeks of school, guiding you through the important and complex balancing act required to build community and teach academic at the beginning of the year. 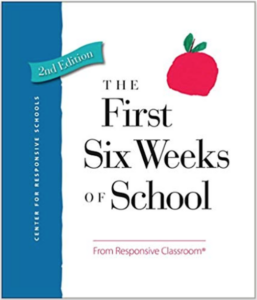 With tons of practical advice, and broken down into grade level specific sections, this book provides the ultimate guide to the beginning of the school year! This book won a bronze medal in the 2016 Independent Publisher Book Awards! Are you struggling to find work-life balance as a teacher? You’re not alone. Most teachers got into the profession because they are care-givers, but when we spend all of our time caring for others, we eventually burn out. Then, we’re unable to help our students who desperately need healthy and positive adults in their lives. If you’re looking for practical advice about how to put on your own oxygen mask first, this book is for you! Packed with practical advice and written in a supportive tone and in an easy-to-read style, this book can be a helpful resource for anyone looking to get into healthy habits within the wonderful craziness of the teaching profession. A fifth grader once begged me to come into school on a Saturday to work on his social studies research project. Would you also believe that when I said “okay,” other kids begged to come in as well? Eleven students came into school that Saturday morning–voluntarily–to work on a non-graded assignment. When students have the opportunity to explore a topic they’re passionate about, amazing learning can happen. 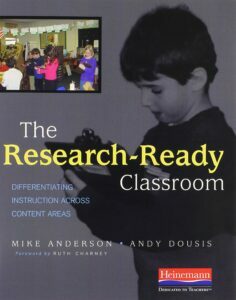 This book guides teachers through the process of facilitating independent research with students. Packed with practical advice and drawn from years of classroom experience, you’ll be ready to try research projects with your students. Are you a brand new teacher, about to embark on an adventure in 3rd grade? Perhaps you’re a seasoned pro who is changing grade levels. Maybe you’ve been teaching 3rd grade for a while, and you’re looking for some new ideas. Regardless, this book is a great resource! Learn how to balance the teaching of great academics with the building of social and emotional skills. Explore how to build positive community while teaching routines. 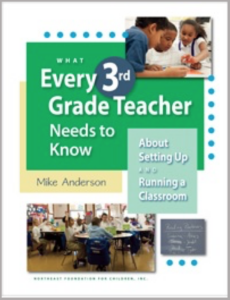 An award-winning teacher, Mike Anderson draws on 15 years of classroom teaching experience in this lively exploration of great teaching and learning in third grade. The What Every Teacher Needs to Know About Setting Up and Running a Classroom K-5 series was a finalist for the 2012 Association of Educational Publishers’ Distinguished Achievement Award. Are you a brand new teacher, about to embark on an adventure in 4th grade? Perhaps you’re a seasoned pro who is changing grade levels. Maybe you’ve been teaching 4th grade for a while, and you’re looking for some new ideas. Regardless, this book is a great resource! 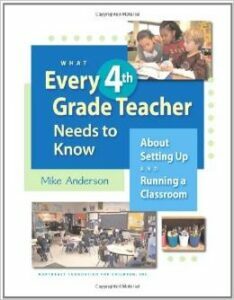 An award-winning teacher, Mike Anderson draws on 15 years of classroom teaching experience in this lively exploration of great teaching and learning in fourth grade. Are you a brand new teacher, about to embark on an adventure in 5th grade? Perhaps you’re a seasoned pro who is changing grade levels. Maybe you’ve been teaching 5th grade for a while, and you’re looking for some new ideas. Regardless, this book is a great resource! 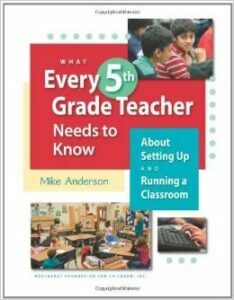 An award-winning teacher, Mike Anderson draws on 15 years of classroom teaching experience in this lively exploration of great teaching and learning in fifth grade.